We are all leaders. 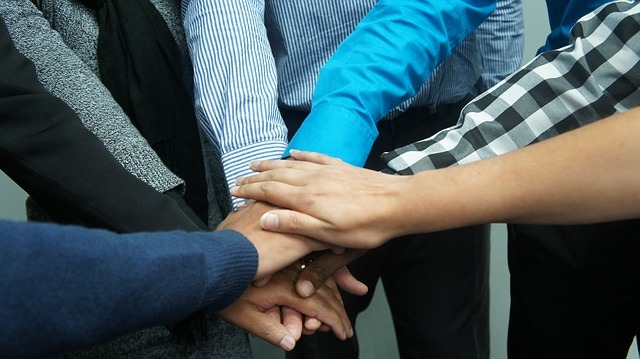 We’re all used to being the ones leading the meeting, coming up with the ideas, and fostering and supporting the ideas of those on our leadership teams. What this means is that sometimes when we are included in the creative process for something large and exciting – and we didn’t come up with the idea, and we’re not leading the meeting – that it can naturally be a little strange, and a little awkward. Further, some of us think in very concrete ways, and others of us think in very fluid and flexible ways. Both are incredibly necessary for our beautiful and diverse church to function. After all, creative problem solvers aren’t always the best administrators, and linear thinkers aren’t always the best when it comes to brainstorming new ways forward. So when we are being invited to participate in the creative process of making something new, we might be doing the thing we love most, and are the best at. And we might be doing something we find a bit stressful. We can come in toward the beginning of the process or toward the end. Both options have positives and negatives. When we’re invited in at the beginning of a creative process – maybe not at the exact start, maybe we weren’t in the room when the idea was first conceived of, but it’s still early days – then we have the beauty and honor of being the people who come up with all the ideas. We have a chance to put our two cents in and make it even better than it might have been, even more useful to us and the people we represent. The downside of coming in at the beginning of the process is that it can be messy. Nothing is certain. If it will even work is uncertain. It might be hard to explain to others because we have a lot of question that we don’t yet have answers for. And we know exactly what those questions are, because we’ve been asking them ourselves. Sometimes if we try to explain where we are in the process to other people when it’s still early days, we can seem like we don’t have all our ducks in a row. And the truth is, we don’t. We’re still figuring out what ducks we need to have, much less to try to get them to all stand in a line. So it might seem like coming in later in the process would be infinitely preferable. But coming in later has its pros and cons as well. On the upside, later in the process it’s so much easier to explain it to other people! We can show them the glossy pictures of what it will look like, the architect’s rendering, the budget, the price points, the height of the bell tower, the exactly symmetry of the curve to the walkway, and an idea of who is going to pay for it all. When we come in later in the process, all of our ducks are in a row. We have numbers, statistics, pie charts, success rates, incomes, expenses, staffing plans, timelines, and lists upon lists of who is going to be responsible for what. This is the stuff of Annual Meetings, and it can be very impressive. What we don’t get when we come in later in the process is a hand in the pot. We don’t get a say. We weren’t consulted, our opinions weren’t required, and so our own viewpoints, and the viewpoints of our constituencies, weren’t reflected in the plan. When we’re brought in earlier, it’s messier and there are questions everywhere, but we get a say in what happens, we can change the very course of the project, and even exercise the power to veto it if it seems apocalyptically bad. When we’re brought in later, it’s clean, clear, beautiful, and easy to present, and it’s also already a done deal which we are being asked to vote upon, or ratify. We can have one, or the other, but not both. We can have a hand in the creation of a new thing, or we can have the calm certainty of exactly what it’s going to look like, but not both. Our bishops, in their wisdom, have chosen to bring us in on the beginning of this process. Oh, they went through all the proper channels first to make sure it could be done and they weren’t violating a canon somewhere. And once the proper people said, ‘Sure, maybe, but what’s it going to look like?’ then they turned to us. The feeling at the end of the overnight was a tentative hopefulness. A group of clergy and laity from both dioceses gathered together for an intense two-day session, let by an expert. They came out with seventy pages of questions, which was exactly what we needed from them. Did they at that time come to a consensus that this was a terrible idea and we should scrap it immediately? Not at all. They came up with seventy pages of questions about all that needed to be considered going forward. The feeling at the end of the two-day session was a tentative hopefulness. 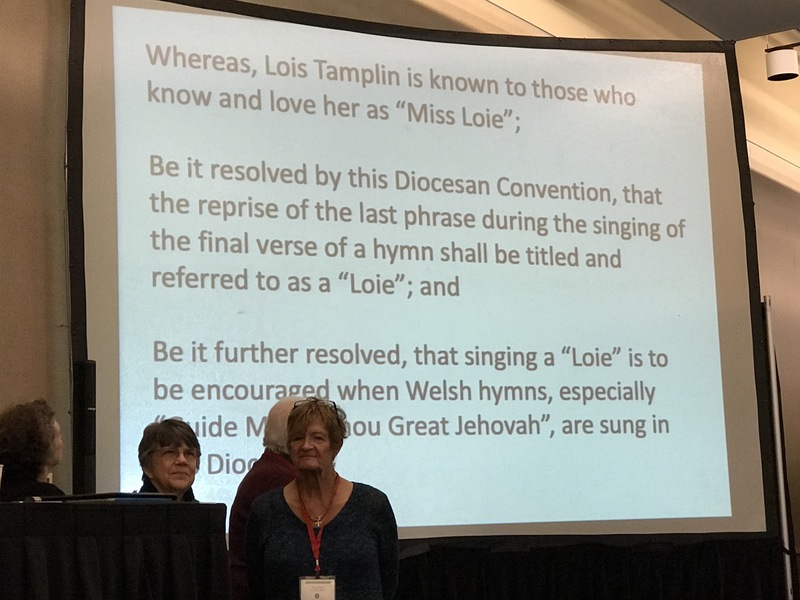 Now this idea is going to each diocesan convention – WNY in October, NWPA in November. Do we have a resolution to vote on and debate? No. Why? Because we don’t need one. It’s totally normal and reasonable, and part of our canons, to have a bishop of one diocese become the provisional bishop of another for some set period of time. Happens all the time. So why are we giving this so much intense thought and treating it like it’s a new process? Because what we’re considering isn’t just a bishop of one diocese fulfilling an administrative role on an ad hoc basis. What we’re really considering is this: could we really be such good friends and neighbors, one diocese to another, could we be involved in such similar ministry to such similar communities, could we discover such similar new avenues of ministry and outreach that it would just make more sense to share a bishop and a bishop’s staff? Would it make more sense to have some joint committees? A joint convention? What we’re not doing is this: we’re not talking about combining two dioceses into one. First, that’s a nightmare of red tape at the state level. 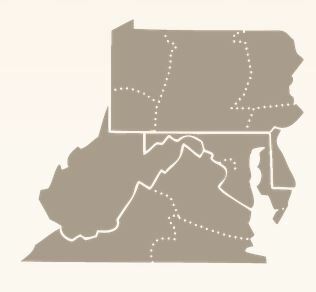 And the few dioceses who do span across state lines were grandfathered into such red tape issues because the dioceses came before the state lines. Second, we don’t need to have a combined diocese to be such good friends and neighbors, to participate in such similar ministry to such similar communities, to even share a bishop and a bishop’s staff. Look at Stafford and LeRoy. Look at Burt and Wilson. They are individuals parishes with individual identities – and shared ministries, and shared leadership. So that’s where we are: in the beginning of a creative process that builds on what is already allowable and normal in our church, but which may be a beautiful creative solution that takes us into the future with confidence and faith. The Rev. Sare Anuszkiewicz is a priest in the Diocese of Western New York where she serves at Trinity, Warsaw. 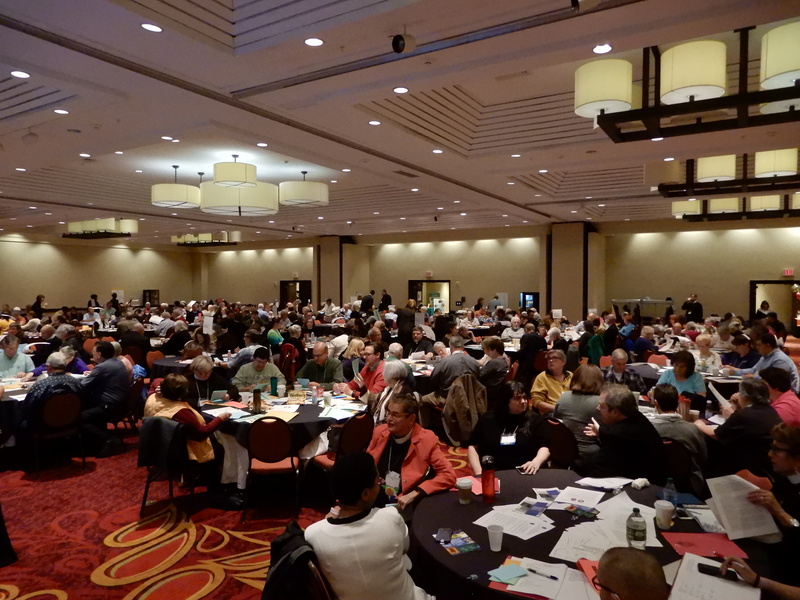 Registration for Courage and Collaboration in Christian Community: Diocesan Convention 2017 is now open. Convention will be held November 10-11 at the Bayfront Convention Center in Erie and is being hosted by St. Mark’s, Erie. 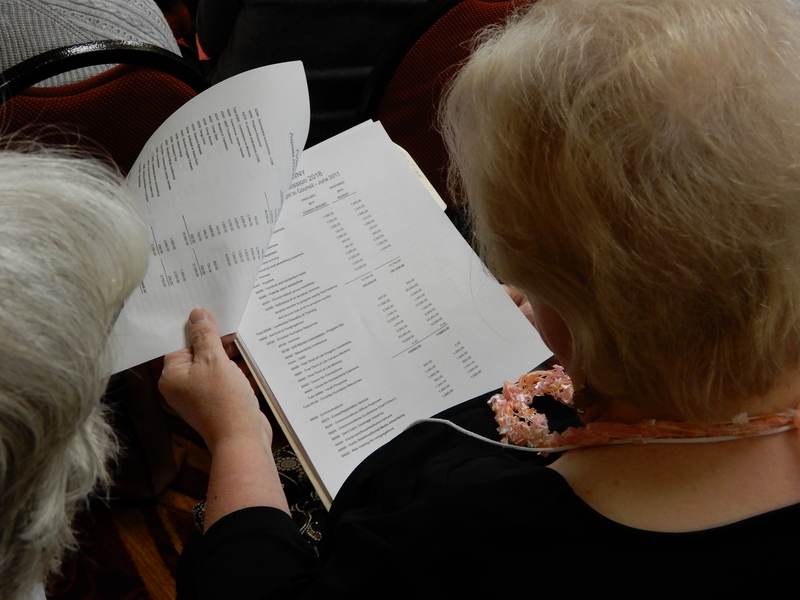 A full schedule and other convention information can be found on our website. As part of our ongoing conversation about collaboration and innovation in the church, we will be welcoming the Rt. Rev. William Franklin and a large contingent from the Diocese of Western New York. This convention will be very mission-focused and the schedule reflects that. The Rev. Canon Scott Slater, of the Diocese of Maryland, will help us continue exploration of our future through a program relating to shared ministry, both on the diocesan and congregational levels, using the work of Brené Brown. 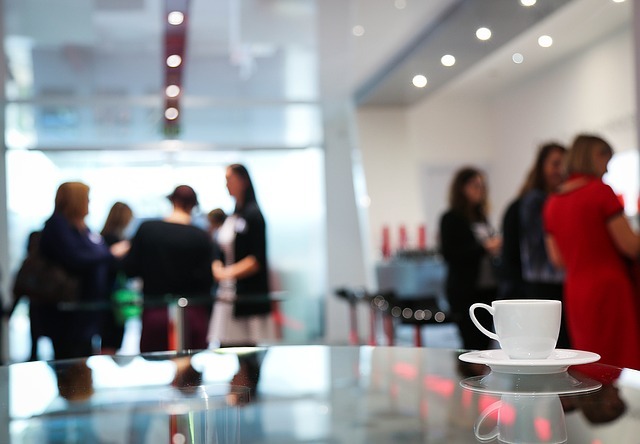 To learn more about our program, you can revisit this blog post. On the schedule you can see that we will have an open house on Thursday, November 9, from 7:00 PM-9:00 PM at St. Mark’s in place of the usual hospitality suite. As many of you know, St. Mark’s recently underwent major renovations, due in part to a grant from the diocese, so they could continue growing their mission and ministry. They are holding the open house as a thank you to the diocese for assisting in their work. All are invited to attend. Please also note the two pre-convention meetings. The first will be held on October 10th at 7:00 PM at Christ Church, Meadville. The second will be held on October 12th at 6:00 PM at St. John’s, Kane. All are welcome to attend the pre-conventions. 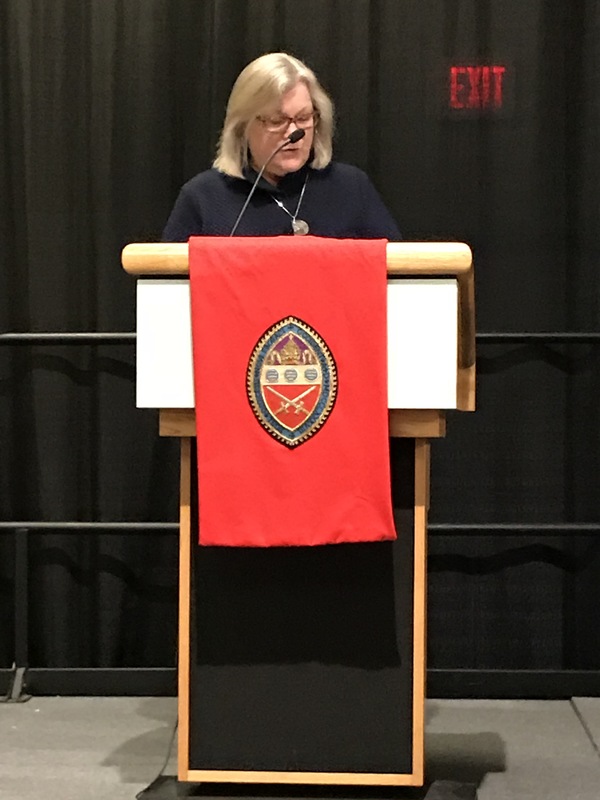 We will be talking more about the process of exploring a shared future with the Diocese of Western New York so that all are fully informed prior to convention. We urge our clergy and delegates to come ready to engage in our conversations. Please do not use the condensed business time as an excuse to not attend the entire convention. The work that we will be doing at the convention, though not the conventional business, will be setting the table for the future of our diocese. We would also encourage those laypeople who are not delegates but who are interested in being a part of this conversation, to please join us as well. We will have plenty of space for those who would like to join us and we would love to have you there. Last weekend at a meeting of the clergy of the Dioceses of Western New York and Northwestern Pennsylvania, Bishop Franklin announced that he will retire on April 3, 2019, as required by the canons of the Episcopal Church. His letter, which you can read here, says he has returned from sabbatical “full of energy and ideas that we will explore together over that time.” Chief among those ideas, as we discussed with the clergy of both dioceses, is the possibility of our dioceses sharing a future. 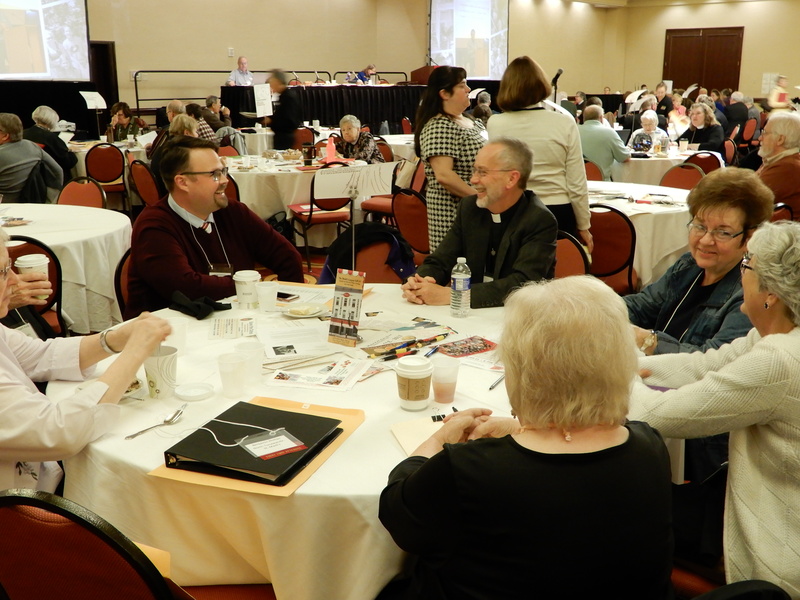 At our upcoming diocesan conventions, we will propose that we spend the next year convening discussions among leaders across our region about how we might create more opportunity for mission by working together. This process will culminate in October 2018, when our dioceses plan to meet together for a joint convention in Niagara Falls. If our discussions in the next year are fruitful, as we hope they will be, we would anticipate that in 2018, the Diocese of Western New York would elect Bishop Rowe as its bishop provisional for five years beginning in April 2019, when Bishop Franklin retires. 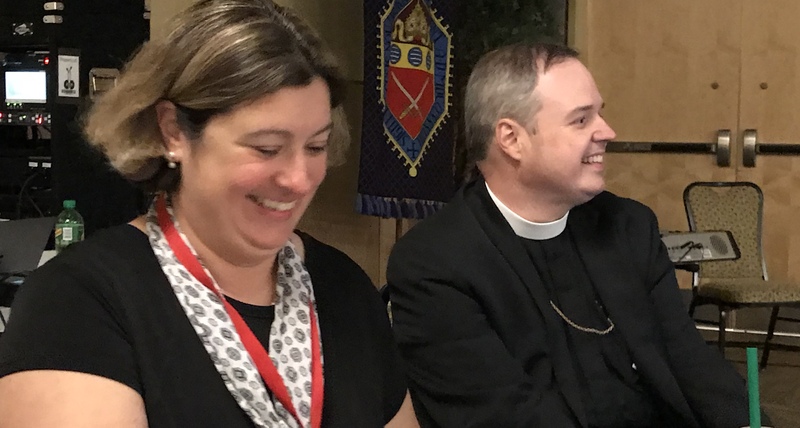 During the first three years of the partnership, our two dioceses would work together to deepen our relationships and develop shared mission priorities. In October 2021, we would re-evaluate the partnership and then, in October 2024, decide whether we wanted to continue it beyond the five-year mark. In proposing a partnership between our dioceses, we are not seeking simply to save money, although we believe that will be possible, and we are not aiming just to share a bishop. We believe that our dioceses have complementary strengths and challenges, and that together we are well suited to respond to God’s call in our region. Our communities share an industrial past, a Rust Belt culture, and a love for the natural beauty of the Lake Erie watershed, and our congregations are home to resilient people who know that by working together and staying focused on mission, we can weather uncertain times and a changing church. Between now and our conventions—October 27 and 28 in Western New York and November 10-11 in Northwestern Pennsylvania—we hope that you will join us in praying about the opportunity we have before us and thinking about your hopes, concerns, and questions. We look forward to being together soon and to embarking on this year of discernment about the future that God has in store for the people of both our dioceses.